if a flop, may also end up as a huge waste of paper (at least will keep the forestry industry going for a while). So, I was really tired and took Newton for a walk. Actually he was walking/running on the leash while I was cycling. And we have sprints on the sidewalk and hope that there are no cars leaving the driveway, because our chances of stopping on time are minimal. Avonhead cemetery is not far from home and I’m a sucker for cemeteries; they are such a great way to see history in action. We stopped when the sun was very low in the horizon and I wanted to capture the spinning movement of the two windmills. Low speed, neutral graduated filter and split tone. 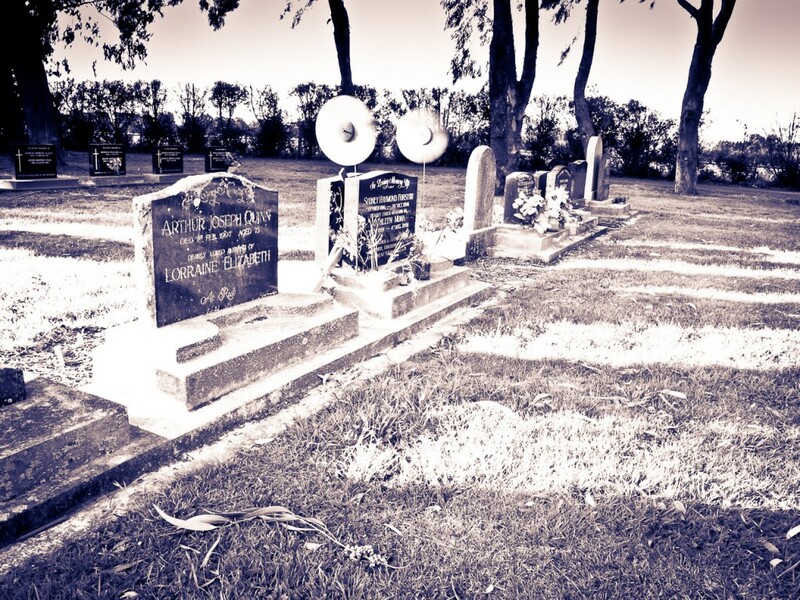 Windmills in Avonhead cemetery (Photo: Luis, 21 March 2012). There are a few areas that went white because of the slow shutter speed, but I think it represents quite well what I had in mind at the time.